The Strange Friendship between Pancho Villa and Arthur Cornwallis Wheatley, Jr.
(©William Arthur Wheatley 2006) Arthur Cornwallis Wheatley, Sr.
(©William Arthur Wheatley 2006) Cadet Private Arthur C. Wheatley, Jr. In the early part of the twentieth century, there developed in the wilds of northern Mexico a strange and unique friendship – a friendship between an Englishman who owned mines in Northern Mexico and a bandit turned revolutionary. The Englishman was my father, Arthur Cornwallis Wheatley, Jr. The bandit turned revolutionary was Doroteo Arango, who as a bandit had taken the name Pancho Villa. To tell the story and to give it context requires that I relate how the Wheatleys came to be in Mexico in the first place, and to give an outline of the history of the Mexican Revolution, because the story of Pancho Villa is inextricably a part of the story of the Revolution, and my family, both on my mother’s and my father’s side, were resident in Mexico during much of the time. Today, as I turn the age of sixty, I write this story so that it shall be available to the rest of my family, who did not live through it. The story began in England, where my great-great-grandfather, Thomas Wheatley, had established himself as a "Gentleman" in Carlisle, a city in northern England on the west coast, on the border with Scotland. The family had originated on the east coast, in Newcastle-upon-Tyne. Thomas, the son of a flax-dresser, Rowland Wheatley, served in India with the British army in the late 1700’s. Following that, he served for a term as an officer of HM Customs Service at the Port of Newcastle, before leaving public service and establishing himself as a silversmith, using the mark "TW" to stamp his pieces. Another silversmith was working Newcastle at the same time, Thomas Watson, using the mark "T.W." The marks were easily confused, so Thomas Wheatley moved to Carlisle and continued the business there, leaving Newcastle to Watson. Wheatley’s silver is known to collectors, however, as Newcastle silver, because that is where he learned the trade. Thomas Wheatley’s son, Thomas Dalemain Wheatley, served as a doctor/surgeon with the Royal Fusilliers in India, then in Africa, and finally in the hospital of the British Naval Base at Porto, Portugal, before leaving the military to take on his father’s business. While yet in Portugal, he met and married Victoria Anne York Harris, the daughter of a major port producer, James Dawson Harris. James’ father, Quarles Harris, along with several generations of Quarles Harrises, had given his name to what had become (and is still today) a leading brand of vintage Porto wine. Quarles Harris y Cia., the Harris family company, was the largest shipper of Porto wines from Portugal in the late 1700’s and early 1800’s. Upon taking up his father’s business, Thomas D. Wheatley decided to expand it to a full retail jewellery operation and took a partner. Leaving his partner to run the selling end of the business, Thomas relocated to Italy to be a buyer. A few years later, when he returned to England, he discovered that the business was bankrupt. At the request of his wife, Thomas’ wealthy father-in-law paid off Thomas’ debts and Thomas left the business to his brother. James Harris obtained an appointment for Thomas as Court Physician to the king of Portugal. Thomas and his family, including my grandfather, Arthur Cornwallis Wheatley, moved from Carlisle to Oporto, Portugal. After several years, Thomas was able to earn enough to repay his father-in-law, but he never returned to England, having been disgraced by the failure of his business, even though all debts had been paid in full. Instead, he made the move to Northern Mexico, where Mexican president Porfirio Diaz encouraged Englishmen to invest and provided grants of land to those who would relocate and settle. There he invested in silver mines and became a gentleman miner, living in Saltillo, in Coahuila state. 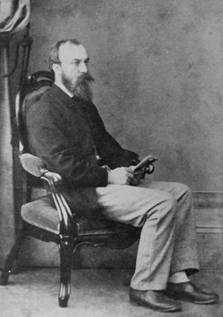 Thomas’ older son, Arthur Cornwallis Wheatley, became an engineer after studying in England at Cambridge University. While serving in Africa with the Royal Fusiliers, he obtained an appointment with the British East India Company and spent several years in Africa surveying for potential mining operations. He surveyed also for the first rail line across Africa from Khartoum to the west, and served a tour of duty with The Nyasaland Company prospecting for minerals. In between African excursions he returned to Mexico and occasionally visited Texas. His father had developed a fondness for San Antonio and had a second home there. In San Antonio, Arthur met Mary Lucy Giddings, daughter of a prominent Texas family. Her father, George Giddings, was also involved in mining operations in northern Mexico. Arthur wrote to her extensively while on trips to Africa and they married in San Antonio when Arthur completed his assignments in Africa and returned to the Western Hemisphere. After the marriage, Thomas moved to a home he owned in Mexico City. Arthur and Mary took up residence in Saltillo and took over the active management of the mines. They kept the house in San Antonio, living part-time in San Antonio, where Arthur practised Civil Engineering part-time. The rest of the time, the family lived in Saltillo, where my father, Arthur C. Wheatley, Jr., was born in 1900. They raised him as an Englishman, sending him to boarding schools in England and hiring an English tutor to make sure he had a proper English education. In 1910, the family took a stagecoach trip from San Antonio to El Paso, where they also had a home, one that Mary had inherited from her father, George Giddings. The stagecoach overturned approaching El Paso. Mary ("May") Wheatley, my father’s older sister, was killed in the accident, and my father suffered a broken hip. My father was sent to New York City for medical treatment, where his broken hip was re-broken surgically and re-set. He spent time in New York encased in sand until the knitting of the bones would allow travel back to Texas. Later that year, Thomas Dalemain Wheatley died "of a broken heart." May had been the "apple of his eye," and he never recovered from his grief at her death. Arthur C. Wheatley, Sr., went into depression and never resumed his career as an engineer nor the supervision of his mines. In northern Mexico, in 1877 or 1878 (the exact date is not known), Doroteo Arango was born on an hacienda on which his father was a worker. In 1894. Doroteo, then working alongside his father, returned to their house to find his 12-year-old sister, Martina, being raped by a wealthy property owner, Don Lopez Negreto. Doroteo shot and killed Don Lopez. At that time in Mexico a small number of wealthy property owners, primarily of Spanish ancestry, owned and controlled most of the working land. The native population, mostly Indian and Mestizo (mixed blood), lived on and worked the land for the landowners. Debts incurred by the workers were inherited by the sons, and pay was meagre. A worker could not leave the land unless all his debts to the landowner were paid, and so the condition was similar to that of feudal serfdom. The workers were little more than slaves. A landowner was permitted to punish his workers for insubordination with penalties up to and including death. Had the roles been reversed, Don Lopez would have been justified in killing Doroteo. As it was, Doroteo had committed a capital crime. Accordingly, he fled to the hills to save his life. There he joined a corps of bandits led by Francisco "Pancho" Villa. 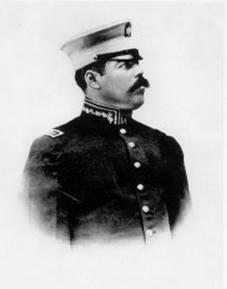 Before long, Francisco was killed in a raid and Doroteo took over leadership of the band, adopting the name of his predecessor. From then onwards he was known as Pancho Villa. Porfirio Diaz had ruled Mexico as President with dictatorial powers since 1876. He had developed the Mexican economy by inviting foreign investment. A number of Englishmen, including Thomas Dalemain Wheatley, settled in Northern Mexico on land given them by Diaz. He invited foreign investment in industry and resource development as well. In northern Mexico under these conditions, Thomas Dalemain Wheatley, my great-grandfather, invested in silver mines. Before long, the paths of Pancho Villa and the Wheatley family were to cross. In 1905, a series of small rebellions began against the Diaz regime. Among them, Pancho Villa in the north and Emiliano Zapata in the south began fighting the federal forces and wresting large swaths of Mexico away from federal control. Diaz could see the handwriting on the wall. He announced in 1908 that Mexico was ready for full democracy and that the time had come for him to prepare to step down and have an open election for president. Accordingly, a ballot was scheduled in 1910, and Francisco Madero announced his candidacy. He planned to institute rule by a group of elites, rather than full democracy, and Diaz, to prevent Madera’s election, threw him in prison and declared himself the winner. Madero escaped and fled to the US. A popular uprising ensued in support of Madero, who raised forces against the weak federal army. Zapata and Pancho Villa fought alongside him. After the defeat of the federal army, a mutiny within ranks spurred Victoriano Huerta to seize command of the federal army. He worked out an agreement under which Diaz would abdicate. 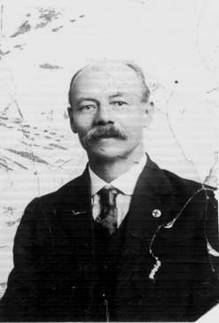 Madera was duly elected President and established a democratic government in 1911. In 1910 and 1911, most foreigners in northern Mexico withdrew to Texas for reasons of personal safety. Northern Mexico had become very turbulent. Most mining operations, owned and operated by foreigners, were shut down at that time. The American engineers who had been running the Wheatley mine since Thomas Dalemain Wheatley.’s death in 1910 shut down the mine and fled to Texas. The Wheatleys relocated to El Paso. Zapata’s forces and Pancho Villa’s forces were merged into the federal army. Huerta expected to rule Mexico from his position as head of a strong military, while the idealistic president, Madero, would make speeches and write grand plans for Mexico. Huerta decided to eliminate his competition. Meanwhile, Zapata and Madero came to a parting of the ways over Madero’s failure to institute land reforms, and Zapata withdrew to the south with his forces. Huerta imprisoned Pancho Villa, who also advocated land redistribution, on charges of insubordination. Huerta ordered the execution of Pancho Villa, but President Madero stopped the execution and ordered Pancho’s release. Pancho fled to the US in 1912 where he proceeded to make friends with wealthy Texans, arms dealers, and politicians. In 1913, Huerta arranged for the assassination of Madero and declared himself president. Pancho Villa returned to northern Mexico and organised an armed rebellion. The force he formed came to be known as the "Division del Norte." He and another rebel, Venustiano Carranza, waged a successful revolt against Huerta. The US supported the rebels against Huerta, who had begun expatriating American and other foreign land holdings in Mexico and giving them to families that supported Huerta. The US support included financial support and the sale of arms to the rebels. Carranza and Villa had been enemies in the past, and Carranza tried to place Villa under his control by inviting Villa to join with him (meaning under him) for the campaign to overthrow Huerta. Villa refused, preferring to maintain an independent force. Carranza and Villa both fought simultaneously against Huerta, but as separate forces, very loosely coordinating with each other. Carranza formed an alliance with Álvaro Obregón. As the defeat of Huerta’s forces seemed imminent, Carranza and Obregón began skirmishing against Villa, and the war turned into a three cornered war. In the midst of this, the US saw Carranza as the "stronger candidate" and began siding with Carranza, stopping the flow of money to Villa. At this time, Carranza/Obregón on one northern flank, Pancho Villa on another northern flank, and Zapata on the south were causing severe problems for the federal troops. 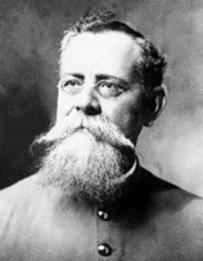 As Carranza got closer to Mexico City with Huerta’s troops in retreat, the US opened a fourth flank against the Mexican federal troops. US Marines landed at Veracruz and marched on Mexico City ("The Halls of Montezuma") in support of Carranza. Distracted by the American attack, the federal troops allowed Pancho Villa’s Division del Norte to establish control over most of northern Mexico, including most of the territory that had been under Carranza’s control. Carranza now controlled only his battlefields; his rival, Pancho Villa, controlled half of Mexico. Seeing that his defeat was imminent, Huerta fled to Spain. Pancho Villa declared himself president, but so did Carranza. At first, the US appeared to recognize Villa’s presidency. General "Black Jack" Pershing hosted a formal reception for "President Villa of the Republic of Mexico" at Fort Bliss, near El Paso, in July of 1914. The US desired to prevent the return of Huerta, who had tried to ally Mexico with Germany in the war in Europe in order to take revenge on the French for their conquest of Mexico and installation of Maximilian as emperor of Mexico a generation before. The US anticipated an alliance with the British in the European war, and did not like the idea of a German ally on the southern border. Pershing promised that Pancho Villa would get renewed US aid and arms. Carranza entered Mexico City and was sworn in as president. 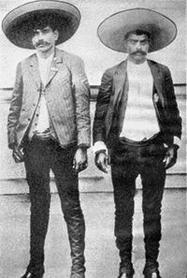 In 1915, Zapata and Pancho Villa, acting together, attacked and drove Carranza out of Mexico City. Pancho declared himself president and was sworn in as such. My father told me that his family was invited to attend the inauguration. His uncle, Lionel York Wheatley, lived in Mexico City at the time. I remember seeing among family papers the engraved menu from the inaugural dinner. 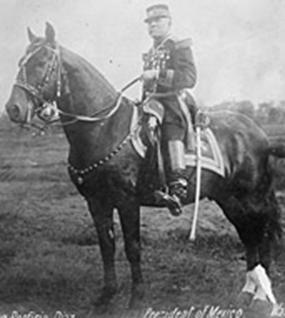 Carranza at that point turned back toward Mexico City and in 1915 mounted a serious campaign against Villa, who fled to the north. Carranza quickly won two important battles against Villa, who was hamstrung without money and arms, as US shipments to him had not resumed. Villa withdrew to the hills that were his traditional stronghold, and the US officially recognized Carranza as "provisional president", ordering all arms shipments to Villa stopped. Pershing allowed Carranza to move Mexican troops across Texas to cut off Villa’s forces at Aqua Prieta, Sonora, where Villa suffered a serious defeat and pulled all of his remaining forces back to the hills. Declaring that northern Mexico had been stabilised and was now peaceful, with Villa "defeated once and for all," President Carranza in January of 1916 invited the exiled foreign land and business owners to return to Mexico. Many did, but Pancho Villa, enraged at America’s withdrawal of support, turned against Americans, vowing to kill all he could find. 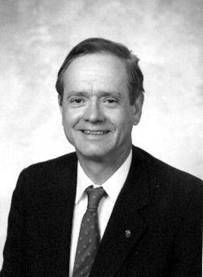 Arthur C. Wheatley Jr. was among those who returned. He was just sixteen at the time, but he was determined to resume mining operations in his father’s mines. Carranza attacked a train carrying seventeen American mining engineers from Chihuahua to the mines near Saltillo, executing sixteen of them. The seventeenth escaped by feigning death, dropping to the ground as if he had been shot, where he rolled down an embankment into a stand of mesquite trees, from which he escaped on foot. When Carranza became president and it seemed that the rebellions had been crushed, many who had fled Mexico at the outbreak of hostilities returned to their farms, their mines, and their businesses in Mexico. I was just sixteen at the time, but my sainted mother was nearly destitute from lack of income. She had been forced to sell our house in San Antonio to meet expenses and we had moved to the smaller home we had in El Paso, where I was in school. In the spring, I started rounding up the engineers who had worked for my father in the mine and organized an expedition back to the mine. We went to Chihuahua by train, and then continued on the little mining supply train that ran through the mining country to Saltillo, where my father’s house still stood, the house in which I was born. I had arranged earlier for my mother’s car to be shipped ahead to the house in Saltillo. Unfortunately, hostilities broke out again. To make a long story short, I made it by foot back to Saltillo without being caught by the Villistas. I took the car and drove as fast as I could on the dirt road to Monterrey where I slept, ate, stocked up on water, refuelled the car, and then took the road toward Laredo, Texas, which was the closest border crossing. About two hours down the road I encountered a patrol of troops. I couldn’t tell whether they were Federales or Villa’s men. They were heavily armed and I had only my father’s revolver, so I stopped at their road block. El Coronel got in the car with me and told me he was commandeering my vehicle and that his men would follow on horseback. I asked him where they were going. He said they were going the same direction I was. I asked them what they were doing and whether there was trouble ahead, because I thought all the fighting was to the south. "We’re looking for a Gringo [a Mexican slang word for American] named Arturo," he answered. "Did he commit a crime?" I asked. "He came back to Mexico to steal again a mine that belongs to the people of Mexico. Diaz stole it from the people and gave it to the Gringos. We chased out the foreigners and took it back, and now Arturo came back to steal it back." "What does Arturo look like?" I asked. "I’ve only seen Mexican peasants running away from the fighting." "So where are you going?" He asked. I had to think fast. There was no destination worth mentioning between where we were and Nuevo Laredo on the Mexican side of the Rio Grande. "I’m going to Laredo to buy American feed for my father’s horses. He raises fine Arabian horses for the corrida [bullfight]." The answer seemed to satisfy him. "I’m thirsty," he said after a while. "What do you have to drink?" I nodded my head toward the back. "I have some water in containers in the back," I said. "I am too thirsty for water," he said. "Tiene usted cerveza? [do you have beer]?" "Pulque?" [Pulque is an alcoholic drink consisting of fermented juice of the agave, the base that is distilled into tequila.]" "No, yo tengo solamente agua [No, I only have water]." "Stop at the next cantina." After about an hour we came to a crossroads populated by the village of Sabinas Hidalgo, consisting of a handful of adobe buildings, one of which contained a cantina. He instructed me to stop at the side of the road, which I did. He showed me a gold coin, and told me that if I waited while he and his men wetted their thirst, I could have it. I nodded agreement. Seeing a gasoline sign a short distance ahead, I told him that I would go to refuel the car and then return to wait for him. His men dismounted and watered their horses at the public watering trough outside the cantina, and then they all went inside. I drove slowly to the gasoline sign, found the owner, and had him pump the gasoline into the car. I paid him, and then drove on as quickly as I could. I never saw the troops again. I made it without further incident to Laredo, and then went on to El Paso. In the fall, I went back to high school. As the revolution consolidated its hold on the country in years to come, Mexico nationalised the mines, and my grandfather’s legacy was taken away. Back at high school in El Paso in the fall, my father enrolled in the Cadet Corps to prepare for commissioning in the US Cavalry. Everyone was expecting the US to enter the war in Europe in support of the British. In March of that same year, 1916, Pancho Villa invaded New Mexico to punish an arms dealer there who had refused to ship arms for which Villa had paid. He didn’t find the arms dealer, but he did attack and destroy the town of Columbus, New Mexico, in a battle in which several Americans were killed. Some believe that this was a staged incident by Carranza sympathisers to induce the US to intervene against Pancho Villa in the ongoing war between Carranza and Villa. However, the attack is consistent with Villa’s known intent to punish the Americans for abandoning him. In April of 1916, General Pershing invaded Mexico, with President Carranza’s approval, to pursue and capture Pancho Villa. Pershing was singularly unsuccessful, although there were a number of skirmishes and he killed a number of Mexicans who were believed to be Villistas. The US activities during these years were turning points in US military history. For the first time, US Marines stormed foreign soil. For the first time, National Guard troops were activated by the Federal Government to engage in combat. For the first time, American troops (regulars and National Guard) invaded what was indisputably foreign territory. For the first time, aircraft were deployed on a combat mission. This was also the first combat experience for Lt. George Patten, later to win fame and his place in history in World War II as a general. In Mexico, Patton succeeded in leading a raid that returned with three bodies of Mexicans – one of which was the body of one of the commanders of Villa’s forces, Cardenas. For a brief period, Patton was a "war hero" whose story was told in US newspapers. Finally, after much futile pursuit and little to show for results, Pershing gave up the chase and returned to the US, writing to President Wilson, "Pancho Villa is everywhere, and he is nowhere." As a high school cadet, Arthur trained at Fort Bliss under Patton and Pershing, among others. 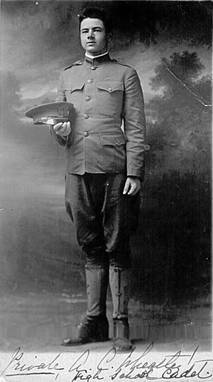 In 1918, upon graduation, Arthur was commissioned as a second lieutenant in the U.S. Cavalry and stationed at Fort Bliss. Within days the company at Fort Bliss and their horses were sent by train to Galveston to board ship for Europe. Before they left harbour, the war ended. Arthur’s company was returned to Fort Bliss and mobilized as a border patrol to defend the border against bandits and Apaches. By the end of the year, the unit was converted to inactive National Guard status and demobilized. Mexico seemed to have settled down, but with Pancho Villa still holed up in the mountains. In 1918 the Constitution of the Republic of Mexico was adopted and the "official" phase of the Revolution ended. It could be said that "major combat operations" had ended. However, small bands of rebels still held out, and there were occasional skirmishes, but the "rebellions" began to look more and more like "banditry." The hills still had roving bands of bandits. Some were Pancho Villa’s men, some were bands loosely associated with him, and some were simply independent gangs. Villa tried to run herd over them all, acting as regional policeman. If a local farmer had been robbed, he could go to Villa, who would track down the bandit who did it and return the loot. If a visitor from elsewhere in Mexico was robbed and complained to Pancho, Pancho would return the goods and tell him to try to stay in his own neighbourhood. The bandits were supposed to prey only on trains carrying supplies to the federales or to interests outside of Pancho Villa country. Raids to lands nearby were permitted, but within Pancho Villa country one was supposed to be secure and safe. Of course, the truth was far from what it was supposed to be. My weekly mule train was often stopped. Usually, I was stopped on my way out to Chihuahua. When asked what my mules were carrying, I would show them the stone rods which were the assay samples and the bags of crushed stone that was the ore. Seeing nothing that they could use for money, they would let me go. I made it a point to carry a few of the "stone rods" with me on my return to the mine, so that if I was stopped on the way back I could unwrap stone rods to show the bandits instead of rolls of silver coins. Soon, I no longer had to show them anything. They would ask what I was carrying, and I would tell them I was carrying rocks and stone rods, and they would wave me on. Soon, I stopped carrying the assay samples back to camp from Chihuahua. That was a mistake – a careless mistake. A band of bandidos stopped me on one trip and asked what I was carrying. I gave the usual answer. The leader dismounted, walked up to my lead donkey, and used his machete to slash open a roll of silver coins. Sneering at me, he took the mule train and killed the two Indians who rode with me, slashing them across the stomach so that their intestines spilled to the ground. He took my horse, my hat, my rifle and my boots. I walked barefoot back into camp. In those days I had a temper. I was really angry. I took my revolver from my trunk. It was the revolver that had been carried in earlier days by my father, and that I had carried in rougher times, but which I had stopped wearing. If I had been wearing it, the bandidos would have taken it, too. I saddled another horse and rode to Pancho’s stronghold. When his guards challenged me I told them I had a complaint that Pancho Villa needed to hear. They let me in. I dismounted and walked up to Pancho Villa. "Don Pancho," I said, "I have known you since we met at Fort Bliss when I was young. I have always known you as a man of your word, a man who values honour. You have known me as the Englishman born in Mexico who is as much Mexican as English. I complain to you as a Mexican who has been wronged in your territory by bandidos." I then told him the story of my robbery. I then drew my revolver, holding it so that it pointed straight up at the sky. "You know me as a man of my word, as well," I continued. "I give you my word that if you do not return to me what is mine, I will fight for what is mine. If I do not leave here with what is mine, I shall starve, and my mother and my sister shall starve, and we shall die, so I do not fear being killed by your men. But you can be sure that you will die before I do." "Put away your weapon," said Pancho. "I’ll die before you because I’m older than you. I’m not going to harm you. My men did not know they were robbing the English Mexican. I will return all of your property." With that, he turned his back to me and strode toward the table that was set in the courtyard. "Come eat and drink with me, as an old friend, before you return to your camp," he said. I did join him for dinner. We traded tall tales about our adventures. He laughed when I told him of my flight by car from Mexico a few years before. "My men would not have harmed you," he said. "They were under orders to round up all Gringos and bring them to me. They didn’t know that the Arturo they sought was the English Mexican. I knew that you and your father were men of honour, and I would have let you go. But I would have taken your mines, because Diaz had stolen them from the people." "You don’t take it now," I said. "Why not now? Why would you have taken my property then, but not now?" "Times have changed," he said. "The revolution is over. I fight on only because I don’t want to be caught and executed. The times are still dangerous. Small fights still go on. Most of my men know who you are and respect you. But there are men in this state who are not revolutionaries but bandidos. You have to be careful of them. You need a bodyguard." He sat in thought for a moment before continuing. "I have a man who shall be your bodyguard. He is not as old as I, but he is experienced, and he knows all of my men. He is one of my right-hand men. He can deal with any bandido you run into. He will be at your side from today and I will pay him as I have always done. I do things for my friends." Raising his voice, he yelled, "Don Jesus! Come here!" A swarthy bandido came running to the table. "Sí, mi General," he said. "You know the English Mexican, Don Arturo. He is a friend of mine. Bandidos have been bothering him. I give you to him. You are to guard him and serve him as you would guard and serve me. ¿Comprende?" Don Jesus departed with me and stayed with me from then on. After several trips to and from Chihuahua, bandit bands no longer stopped us. They just smiled and waved as we went by. I had saddle bags painted with the words, "Don Arturo" and started sending the mule trains with one of my engineers in charge, no longer feeling the need to defend them myself. For weeks they returned safely. I had begun to think that they were finally safe from the bandidos. Then one day the engineer who had taken a mule train to Chihuahua returned with the mules but without his men and without the payrolls. He told me that bandidos had taken the money and shot his men. I turned to Don Jesus and took out my anger on him. "Don Jesus," I shouted, "I though that your boss had honour but he does not. His bandidos have taken my money." He stood with bowed head while I yelled at him a while longer. I told him to go back to his bandido friends, that from now on I would hire my own guards and take care of myself. He raised his head and looked me in the eye. "Don Arturo, I have honour, and so does Don Pancho. I will go and get the men who did this. They are men who have left Pancho, have abandoned the revolution, and have become bandidos. They are without honour, and I, who have honour, will bring them to justice." I immediately repented my outburst because I was sure that he was telling me the truth and that this was not Pancho Villa’s doing. I apologized to him, but he stopped me, telling me that I should hold my words until he returned, having then proved his honour. He armed himself heavily and rode alone into the hills. I said a silent prayer for his safety, fearing he would not return alive. My American engineer and I went to Saltillo for a few days at home with bath water, soap and good food. Three days later Don Jesus walked into the courtyard of my house in Saltillo, leading his horse, on which three prisoners were tied and strapped into place. He offered them for identification. Alas, the bandits had their faces covered when they had committed the act, and my engineer could not identify them. Don Jesus untied them from the horse, but left their hands bound and left them tied together. Leading them by the rope that bound them, he marched them away, saying he would take them to town and deliver them to the local police for justice.a He was back within an hour, reporting the old story that they had tried to escape and he had been forced to shoot them. "But, Don Jesus," I complained, thinking of their blood on my head, "Those men may not have been the ones who assaulted my men. We could not identify them. You may have killed innocent men!" "Innocent? Ah, but, Don Arturo," he said, "They could not have been innocent. They were very bad men, yes, very bad. They were the ones, I am very positive! And besides, if they did not do that, they have done other things. They are very bad men. Yes, they were my chief lieutenants in the days of the revolution. They deserve the punishment that they have received." He was standing straight and calm with dignified pride. "I did what they deserved. Justice is served. My days of killing men who do not deserve to die are over. We must make Mexico a land of law!" I thought to myself that it would be generations before the old ways died and Mexico could become a land of law. In 1920, General Álvaro Obregón, along with associates Plutarcho Elías Calles and Adolfo de la Huerta launched a successful revolt against Carranza, who was soon assassinated. Carranza had already had Zapata killed in 1919. Pancho Villa, the last remaining revolutionary, reached a deal with the new Mexican government under which he laid down his arms and retired to a large hacienda with his men. The new government expropriated the mines, industry and lands owned by foreigners, including the Wheatley mines. My father returned to Texas and continued pursuing his degree in mining engineering from the Texas School of Mines in El Paso. In early 1923, Calles began campaigning for election as President, and Pancho Villa, still immensely popular with the people of the north, decided to make a legitimate bid for election. He told his associates he was going to announce his candidacy and try to win election. At the time, my father had returned to Mexico, employed now as a mining engineer to work in the mines he had once owned, by a company that was running them for the Mexican government. Pancho Villa began a trip criss-crossing the northern states, lining up political and financial support. When his car reached Parral, Chihuahua, he was killed in a hail of gunfire. As my father told it, Villa had arrived by car in the town square with the town leaders and local businessmen, including my father, standing near the car. Villa was going to make a speech announcing his candidacy for president. Seven gunmen killed him in a hail of gunfire. Once again my father headed for the border. The assassins were arrested, tried, and imprisoned with very light sentences. Suspicion centred on Calles, but the assassins never named their employer. Calles soon pardoned them. No uprising followed, and so my father returned to Mexico and his employment after a brief absence. Soon, he met Inda Mary Benway, the young lady later to become his bride, who was at the time living with her father, mother, and sister in Chihuahua. Her father, Dr. William Henry Benway, a surgeon, operated a medical and surgical clinic for the Methodist Church to provide medical care to the Indians of the region, particularly the Tarahumara Indians. My father left Mexico after the mines played out in 1929, and Don Jesus went back to the hill country. My father worked for a while in the Beaumont, Texas shipyards before marrying Inda Benway on 5th June 1935 in El Paso, Texas. He returned with her to his home in Saltillo and returned to working in the mines he had once owned. Then, when the US entered World War II, he returned to the US and took employment with the Tennessee Valley Authority as a construction engineer. When the war ended and I was an infant, in 1945, we moved from Norris, Tennessee, to Mérida, Yucatan, where my father began employment with Electric Bond and Share of New York, later known as EBASCO, building power plants. My father said that he wrote to his friends in Mexico to announce his return, and that about a month later, Don Jesus showed up on his doorstep in Mérida. He told my father that although Pancho was dead and could not pay him, he was there to continue his duty. My father put him to work on the payroll of the projects he was running. I remember Don Jesus as a straight-backed man with salt-and-pepper hair, thin but with very broad shoulders, a gentle smile and quiet dignity. When we moved from Mérida to Puebla, Don Jesus came, too. My father became Chief Engineer for Luz y Fuerza de Puebla, the power company for the State of Puebla, and Don Jesus became a night watchman at the power plant that served the City of Puebla. That power company, and the entire power industry in Mexico, was owned at the time by EBASCO. My brother, Thomas Benway Wheatley, who was born in Puebla, also may remember Don Jesus. After burglars broke into our house one night, Don Jesus started spending his nights as night watchman at our house. Our dog, Butch, adored Don Jesus and would make the nightly rounds with him. He fed Butch bread soaked in coffee, which Butch seemed to love. Once again, it became necessary for my father to leave the country, this time not because of violent revolution but because the Mexican government once again expropriated foreign holdings. It nationalised the power industry and passed a law forbidding the employment of Americans in managerial positions in state-owned industries. In 1955 we left Puebla and settled in Dothan, Alabama, where my father took a position with the U.S. Army Corps of Engineers as a construction engineer at near-by Fort Rucker. My father and mother are both buried in Dothan. Don Jesus retired, but died shortly after we moved from Mexico. I remember Don Jesus as a kind, gentle old man with steel in his eyes. They were the dark, warm grey of gunmetal. The strange friendship between the "English Mexican" and the bandit/revolutionary, Pancho Villa, may be difficult to comprehend in our day and age, but that friendship was real. 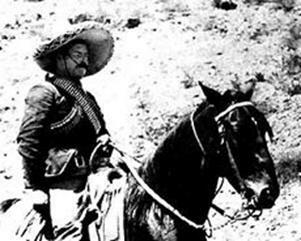 Pancho Villa was brutal, and began his adult life as a bandit. However, throughout most of the revolutionary period in Mexico, he was a true revolutionary and champion of the poor people, and my father knew him as a man of honour. My father’s stories, and the history of his times, are of interest to me in light of the recent political situation in Mexico with significant sections of the country in a form of open revolt by way of civil disobedience. Democracy under a constitution does not necessarily guarantee stability. To achieve stability, the interests of the different population groups (ethnic or otherwise) must be balanced against each other – a situation that has not been obtained yet in Mexico. Today, I am an architect and construction manager. I live and work as a consultant in the Philadelphia suburbs. I have two firms – Wheatley US Limited (in Philadelphia) and Wheatley UK Limited (in London). Like my father’s, grandfather’s, and great-grandfather’s, my work tends to be international. I have many wonderful memories from my childhood in Mexico. 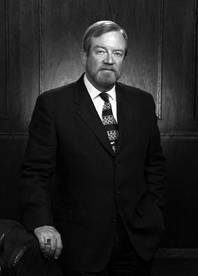 My brother, Thomas Benway Wheatley, Esquire, an attorney, lives and practises in Bar Harbor, Maine, with the law firm of Fenton, Chapman, Wheatley and Kane. The portrait of Thomas Wheatley pictured on this page is from the collection of Mark Blaydes of Lovedeain, England. Mr. Blaydes is a direct descendant of Thomas Wheatley’s through Thomas granddaughter, Amy Constance Wheatley. This photograph of the portrait is the property of Mark Blaydes and may not be reproduced without his permission. The portrait of Thomas Dalemain Wheatley on this page is provided by Mark Blaydes of Lovedean, England. 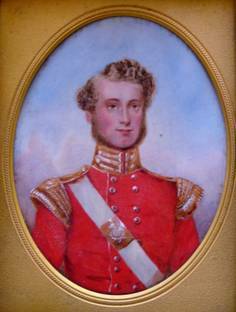 The portrait of Arthur Cornwallis Wheatley, Sr., is provided by the author. These photographs are the property of Messrs. Blaydes and Wheatley respectively and may not be reproduced without their permissions. This portrait is provided by William Arthur Wheatley. The handwritten legend on it is in the hand of Inda Mary Benway Wheatley, Arthur Cornwallis Wheatley Jr.’s wife. The copyright for this article is owned by William Arthur Wheatley. This article may not be reproduced without permission in any media. Some of the photographs reproduced in this article are from the public domain, and are so noted. The remainder are the separate copyright property of the owners referenced. Webmaster: I apologize that the pictures did not appear in the article in the manner Mr. Wheatley had them arranged. It is my poor skills as a technician. Therefore, I grabbed them and put them in the table above. We are grateful to William Wheatley for providing this fascinating story of one of our Dothan families.